Schatz | Why Not Train A Child? Eric Pazdiziora wrote a musical piece in memory of Lydia. Here is TulipGirl’s memorial tribute to Lydia. Please pray for her siblings, it must be a very hard day for them. I know that there is very little sympathy for her parents in this world, but I believe that they are repentant and am also praying for them. Today marks 2 years since the death of Lydia Schatz. Elizabeth Esther shares a video she made 2 years ago which is still very pertinent. TulipGirl is also Remembering Lydia. I would also like to mention that Feb 26 will mark 6 years since the death of Sean Paddock. May their deaths not be in vain. Former Pearl follower Becky, from Created To Be His, shares a letter she wrote explaining her concerns with the Pearls and their teachings. In this letter she also explains what these teachings have to do with the death of Lydia Schatz and includes quotes from the book. Kristin Butler at Crosswalk.com looks at The Pearls and the Schatz tragedy in Disciplined to Death. Elizabeth Esther also posted about the CNN video and got many interesting comments. Former Pearl Follower, Becky from Created To Be His, also shared the videos and explained why she does not believe that the Schatzes lost control. 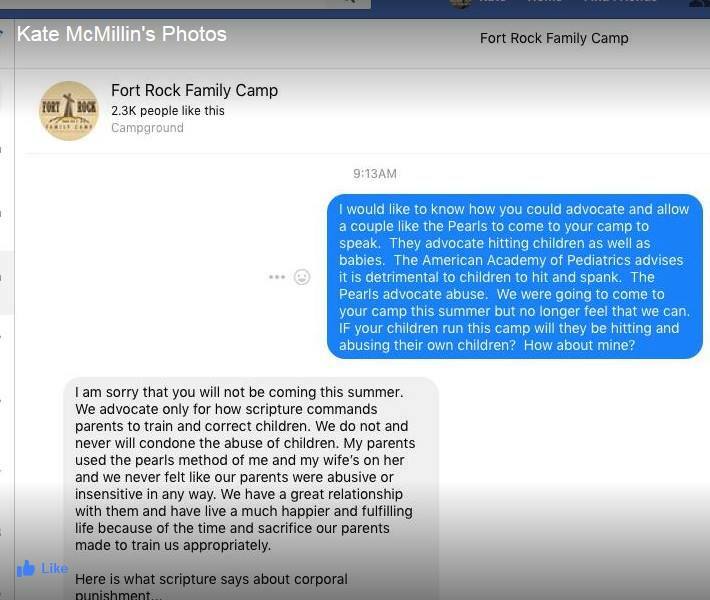 Robin of Heart of Wisdom has a nice synopsis of the Dangers of the Pearls’ teachings in Pearl’s To Train Up A Child And Child Abuse. This is a good post for sharing as it contains the Action News Report as well as quotes from TTUAC and a lot of links for further study. Here is a follow up about the Schatzes prison sentence from the Paradise Post. Note the quotes from Lydia’s older sister, Zariah, as well from as Elizabeth Schatz who apparently realized too late that they were on a “foolish path.” Entire article quoted here for permanence. A Paradise couple convicted of whipping an adopted daughter to death and injuring two other children was sentenced Friday to upper terms in state prison.Butte County Superior Court Judge Kristen Lucena sentenced Kevin Paul Schatz, 48, to serve at least 22 years of two life terms for second-degree murder and torture. Elizabeth Hazel Schatz, 44, was sentenced to serve 13 years, four months for voluntary manslaughter and infliction of unlawful corporal punishment. Both Schatzes were also sentenced to six months in county jail for misdemeanor cruelty to a child. They were credited for time served. Addressing the defendants, Lucena said their punishment for whipping their children for hours with a thin, 15-inch length of plumbing supply line was inappropriate. “No civilized society would tolerate that,” Lucena said. The sentences were largely known in advance because of a plea bargain April 8. The couple had faced charges of first-degree murder and torture and two possible life sentences. Before the sentence was handed down a surviving adopted daughter, 12, addressed the court. With a soft-spoken voice that was often punctuated with tearful sobs, she said her 7-year-old sister, Lydia, meant the world to her and Lydia’s death really hurt. “Why did you adopt her? To kill her?” the daughter asked. residence found the other daughter in the house, limping.As part of a punishment for reportedly mispronouncing words, both girls had been whipped for hours by Kevin Schatz with the supply line. Elizabeth Schatz reportedly assisted. Lydia was whipped for about seven hours on Feb. 5, while her sister was punished for similar period the night before. A 10-year-old biological son was also injured. The repeated whipping caused a breakdown in muscle tissue that severely damaged the girls’ organs. Lydia was taken to the hospital but later perished from her injuries. The other daughter was hospitalized for similar injuries, but eventually recovered. The older daughter said she would ultimately forgive the Shatzes, but was confused by the actions and condemned their use of corporal punishment. “I don’t know what I did to deserve what you did to me,” she said. As the daughter made her statement, the Schatzes sat facing forward, not looking at the girl. They did sometimes bow their heads and wiped their faces. Earlier in the hearing, Elizabeth Schatz asked for the daughter’s forgiveness. She said Feb. 6, 2010, was the saddest day of her life because their actions killed a daughter, severely injured another and tore their family apart. She said she wished that they had paused to consider the repercussions of their actions. “We surely would’ve deviated from the foolish path we ended up taking,” Elizabeth Schatz said. Kevin Schatz apologized for what happened. “I accept full responsibility for the injury and death of my two daughters,” he said. Michael Harvey, Kevin Schatz’s attorney, said most people know it’s inappropriate to shake a baby, but few had heard of the medical condition that could be caused by the Schatz’s disciplinary method. “This is a tragic case. It’s an example of trying to do the right thing in a wrong way,” Harvey said. District Attorney Mike Ramsey said the Schatzes have often characterized their actions as inappropriate discipline, which he said showed a lack of insight. While acknowledging the death and injuries weren’t intentional, he said their actions, including the whippings and other punishments, were over the top. Kevin Schatz is ineligible for good conduct credits due to the murder conviction, meaning he will serve 22 years before being considered for parole. He was given credit for 310 days served in county jail. Elizabeth Schatz was credited for 387 days of jail time served and could earn an additional 670 days’ credit in prison. From the Paradise Post quoted here for permanence. The Paradise couple who were arrested February 2010 in the beating death of one child and severe beating of another, were sentenced to prison this morning.Kevin Schatz was sentenced to two life terms for second-degree murder and torture and will have to serve at 22 years. Elizabeth Schatz was sentenced to 13 years, four months for voluntary manslaughter and infliction of unlawful corporal punishment. They each were given six months in county jail for misdemeanor cruelty to a child but were credited for time served. In April 2007, the Schatz’ adopted three children from Liberia. At the time of that adoption, the Schatz had six biological children. In this post she focuses on Philip Greven’s book, Spare the Child: The Religious Roots of Punishment and the Psychological Impact of Physical Abuse. Please be aware that this post is not for the faint of heart and might be triggering. The Paradise couple accused of beating their adopted daughter to death and critically injuring another will not be going trial after reaching a last minute plea deal with prosecutors. Trial for Kevin and Elizabeth Schatz was to begin Monday, but on Friday afternoon Kevin Schatz agreed to plead guilty to all the charges against him, including first degree murder and torture, in exchange for a reduced charge of voluntary manslaughter for his wife. The agreement means the couple’s children will not have to testify in court. Both entered guilty pleas Friday afternoon. Butte County district attorney Mike Ramsey says Kevin Schatz faces two life sentences and will not be eligible for parole for 22 years. Elizabeth Schatz agreed to the maximum sentence of 13 years, four months. The couple is set to be formally sentenced June 10th. There six biological children and two surviving adopted children remain in foster care. And here is the more in depth story from the Chico E.R. pasted here for permanence. OROVILLE — A trial for a Paradise couple facing murder charges for beating one adopted daughter to death and injuring another ended before it began after the pair entered unexpected guilty pleas Friday. Elizabeth and Kevin Schatz were expected to go to trial Monday in Butte County Superior Court for the Feb. 4 and 5, 2010, beating of adopted daughters Lydia Schatz, 7, and her then 11-year-old sister. Lydia died of her injuries; the older girl required hospitalization but recovered. The Schatzes’ defense team and Butte County District Attorney Mike Ramsey had spent Friday with Judge Kristen Lucena discussing final motions before starting jury selection. As Ramsey prepared to leave the courtroom, defense attorneys Michael Harvey and Kevin Sears asked him to stay about a possible plea bargain. Court was called back into session and Kevin Schatz pleaded guilty to one count each of second-degree murder, torture and misdemeanor cruelty to a child. He will serve at least 22 years of a 22-to-life prison sentence. Elizabeth Schatz pleaded guilty to single counts of voluntary manslaughter, infliction of unlawful corporal punishment on a child and misdemeanor cruelty to a child. She will be sentenced to the maximum 13 years, four months in prison. Both also face a six-month county jail sentence, and $20,000 fines each. Outside the courtroom, Ramsey said he was satisfied with the verdict and the resolution for the victims — who were reportedly whipped for hours with a length of plumber’s supply line. He remarked that the likely sentences mean the Schatzes would no longer be in control of their children’s lives. “Now, at least for the children, they can get it behind them,” Ramsey said. Ramsey said he insisted that the couple plead guilty to the charges instead of pleading no contest — where defendants can stand silent while a judge convicts them based on evidence. The murder and manslaughter charges were for Lydia Schatz’s death. The torture counts applied for her older sister’s injuries. The misdemeanor charges applied for injuries against a son who was 10 at the time. Ramsey said the prosecution accepted a lesser manslaughter charge for Elizabeth Schatz because there was evidence she was under the control of her husband during and after the incidents. However, he required that Kevin Schatz plead to murder. Outside of the courtroom, Sears said his client, Elizabeth Schatz, regretted what happened. “She feels very remorseful over what happened to her children and she was very anxious to accept responsibility,” Sears said. Had the matter gone to a jury, Sears said he didn’t believe the panel would find Elizabeth Schatz guilty of murder. He said the bargain’s terms were close to a probable jury verdict. Harvey said his client took the bargain because it will spare his wife from serving a longer sentence. It also eliminated the need for his children to testify in court — most of the Schatzes’ six biological children and the older adopted daughter were listed as possible trial witnesses. “He felt that was his duty as a father to his family,” Harvey said. While there has been discussion about the Schatzes’ whippings being based on “biblical chastisements” drawn from the teachings of a fundamentalist religious organization known as No Greater Joy Ministry, Ramsey said he hadn’t planned to focus on the teachings in his prosecution. He said he had been prepared to address it if it was raised by the defense. Sentencing will take place on June 10. The couple remain in custody at Butte County Jail. Also, the Mankato Examiner has an article about the case with the same info plus more background. This article is great for sharing. Cindy, of Under Much Grace, explains exactly what Rhabdomyolosis is in, How Do We Track Kidney Failure and Kidney Damage in Children Who Are Trained Using the Pearl Method? She explains that kidney damage is permanent and wonders how many children are living with a chronic yet undiagnosed condition in this important and informative post. Also, don’t miss this internet radio show about the same topic. Meanwhile, the Schatz trial has been scheduled and both the Chico Enterprise Record and the Paradise Post are running the following story which I will paste here for permanence. OROVILLE — After a couple of postponements, a trial is ready to proceed in the case of a Paradise couple charged with allegedly whipping their adopted daughter to death and torturing another. Attorneys representing Elizabeth and Kevin Schatz told Butte County Superior Court Judge Kristen Lucena they were ready to begin the trial on April 11. The trial was initially set to begin in November, but was delayed so attorneys could review thousands of pages of evidence. A second date for February was set aside in favor the April 11 date. During Wednesday’s trial readiness conference, Lucena determined the trial would take place in her courtroom. The prosecution alleges Elizabeth and Kevin Schatz used a length of quarter-inch plumber’s supply line to beat adopted daughters Lydia Schatz, 7, and Zariah Schatz, then 11, during separate “Biblical chastisements” on Feb. 4 and 5, 2010. Lydia Schatz was taken to Feather River Hospital after the mother reported to 9-1-1 that she had stopped breathing. Zariah Schatz arrived at a Sacramento hospital in critical condition with whip-like marks before recovering. The Schatzes have pleaded not guilty to charges of murder, torture involving great bodily injury and misdemeanor child abuse. If convicted, each could face a maximum sentence of two life terms in prison. Before the trial date, there will be an April 8 hearing for motions that should be considered before a jury is selected. have an opportunity to respond to Butte County District Attorney Mike Ramsey’s recent request to include hearsay evidence based on out-of-court statements from Zariah Schatz. While Zariah Schatz will be called to testify, Ramsey said outside of court that she had also spoken to police and medical personnel after her sister’s death. THE CASE: On Feb. 4 and 5, 2010, Elizabeth and Kevin Schatz of Paradise allegedly used a whip-like instrument to discipline two adopted daughters in separate incidents. The 7-year-old daughter stopped breathing and subsequently died from her injuries. The 11-year-old daughter suffered serious injuries but recovered. THE CHARGES: Both parents face counts of murder, torture involving great bodily injury and misdemeanor child abuse. According to the Oroville Mercury Register, the Schatz Trial has been delayed until April 11, 2011. I will include the text here for permance. OROVILLE — Attorneys again asked a judge Thursday to postpone the trial of a Paradise couple for allegedly whipping their 7-year-old adopted daughter to death. Elizabeth Schatz, 44, and her husband, Kevin, 47, had been scheduled to go to trial Feb. 28. The woman’s attorney, Kevin Sears, said an April 11 trial will work best for attorneys and witnesses. Deputy district attorney Kelly Maloy, sitting in for District Attorney Mike Ramsey, affirmed the continuance was a joint request. Judge Kristen Lucena granted the motion. The Schatzes are charged with murder, torture involving great bodily injury and misdemeanor child abuse involving one of their six biological children. The charges carry up to two life terms in prison. The couple pleaded not guilty in June. They remain in custody at the Butte County Jail with $2 million bail apiece. The couple allegedly caused the death of their 7-year-old adopted daughter and serious injuries to her 11-year-old sister during separate “Biblical chastisements” with a whip-like instrument a year ago at the family home. On February 6, 2010, Lydia Schatz died from kidney failure allegedly brought on from corporal punishment. Her parents were arrested and her siblings were questioned. The other children co-operated fully with all adults. They answered questions calmly and completely, explaining how Lydia had been having switching sessions because she would not comply. They explained how they were all chastised with plumbing supply line when they did not obey and how their parents got their parenting advice from the No Greater Joy website. Sunday marks the first anniversary of this incident. As I do not post on Sundays, I am posting this today. Newer stories about the Schatz story can be found under my Schatz tag. Kevin and Elizabeth Schatz were charged with murder and torture. The trial is scheduled to start on Feb 28, 2011 after a trial readiness hearing on Feb 17th. As 2010 winds to a close, I am reflecting on the changes to this website. I moved to this blog in March during the thick of the Schatz story. Over the months I found more and more time passing between posts and started filling that time with posts about other controlling groups such as the Patriarchy Movement as well as helpful posts about Gentle Discipline. I am very thankful to God for how He has been using this blog. I wish my readers many blessings in 2011. Once again the Post staff voted on the Top 10 stories of the Year. This year, the top story is the Schatz family abuse case. The ugliness of humanity reared its head in Paradise this year when two local parents allegedly beat their adopted daughter to death for mispronouncing a word. Lydia Schatz, 7, died in February and her parents, Kevin and Elizabeth Schatz, are accused of killing her by using controversial disciplinary methods outlined in a religious training book, “To Train Up A Child,” by Michael and Debi Pearl, founders of the No Greater Joy Ministry. In the aforementioned book, the Pearls recommend using a rubber quarter-inch plumbing supply line for disciplining a child. Elizabeth called emergency crews on Feb. 6 to report that Lydia was not breathing. A storm prevented the girl from being airlifted to the hospital by the LifeFlight helicopter. Lydia was being rushed by ambulance to Chico Municipal Airport, but died en route. The autopsy of Lydia shows that the girl died of Rhabdomyolysis, a rapid breakdown of skeletal muscle due to injury to muscle tissue. Lydia’s 11-year-old sister was also discovered with injuries and sustained kidney failure. She was not originally expected to survive, but made a full recovery after treatment at Sutter Memorial Hospital. The Schatzes have six biological children and adopted Lydia, the 11-year-old, and a 3 month-old from the Republic of Libera in Africa. Police said all the children made statements affirming being disciplined by rubber tubing found in the Schatz home. The parents were charged with murder and torture, each facing life in prison. Kevin and Elizabeth retained separate lawyers and pled not guilty to the crimes. The case has not been resolved. The Schatzes are scheduled to appear in court on Feb. 28, 2011 for a jury trial. Carolyn wrote the following comment in response to That Mom’s post about Lydia Schatz and posted on my Facebook page. I can totally understand how this is completely attributible to the Pearls teachings. We were introduced to these teachings when my children were little, and I believed pretty much all of what they had to say. We created child-training opportunities. We would calmly switch our daughters until they submitted. We had lovely obedient children (most of the time!). Then, our 3rd daughter showed us that this didn’t always work!! She has Aspergers Syndrome (which wasn’t diagnosed until she was 10 years old), and this method simply did not work with her. The Chico ER reports that Elizabeth and Kevin Schatz were in court yesterday, Oct 21, 2010, for a pre-trial hearing. The trial has been delayed until Feb 28, 2011. I am including the article here for permanence. OROVILLE — A judge Thursday continued a trial against a Paradise couple for the alleged murder and torture of their adopted child, so attorneys can read the more than 6,000 pages of evidence, with more coming. Butte County Superior Court Judge Kristen Lucena vacated the November trial date and set it for Feb. 28 in the case against Elizabeth Schatz, 43, and her husband, Kevin, 47. The pair allegedly caused the death of their 7-year-old adopted daughter and serious injuries to her 11-year-old sister during separate “biblical chastisements” with a whip-like instrument in February at the family home. Elizabeth Schatz’s attorney, Dennis Latimer, asked Lucena to continue the trial so the lawyers can read through the large amount of evidence and obtain and review what is still expected. The husband’s attorney, Michael Harvey, joined in the motion to continue. Deputy district attorney Kelly Maloy, sitting in for District Attorney Mike Ramsey, who is prosecuting the case, said they had no objection. The charges carry up to two life terms in prison. The couple pleaded not guilty in June. line” to “train” children to be more obedient to their parents and God. Prosecution also alleges that Lydia Schatz, 7, one of three children the couple had adopted from an orphanage in Africa three years before, died from a breakdown of muscle tissue following a lengthy discipline session in the parents’ bedroom after mispronouncing a word during a home school reading lesson. After the child stopped breathing Feb. 5 and the mother dialed 9-1-1, Butte County Sheriff’s deputies arrested the parents. The girl’s 11-year-old sister also allegedly sustained “whip-like” marks to her back, legs and buttocks during a similar parental chastisement the previous day. She was hospitalized with kidney failure but lived. Elizabeth and Kevin Schatz will return to court Feb. 17 for a trial readiness conference. They remain in custody at the Butte County Jail with bail set at $2 million apiece. Staff writer Katy Sweeny can be reached at 896-7760 or ksweeny@chicoer.com. KRCR Channel 7 has also posted about this. Kerry Semon and Niels Hoogeveen from Pound Puppy Legacy investigate the tragic case of Lydia Schatz as well as the Tyler case which also involved an abused orphan from Liberia in Orphans In Paradise. This was posted back in May 2010, but I missed it. It is good coverage of the Schatz story from a Christian news site. The Schatz family has been on my mind lately since their trial is scheduled for Nov 1, less than 6 weeks away. They have their trial readiness hearing on Oct 21st. Here is another old article which I missed back in July. It brings up the interesting question of a Venue Change. As far as I know, that is the most recent news. Notable Trials has a update on the Schatz Trial to summarize the case and say that there is no real update.